apa yang aku fikirkan...: Hectic! Ok, I know I haven’t updated this blog since last week. Seeing the title for this entry, I believe you can guess what I mean. Right? I can’t really put things nicely to describe my previous days since they were full of colors! The caption following these pictures describes briefly everything! 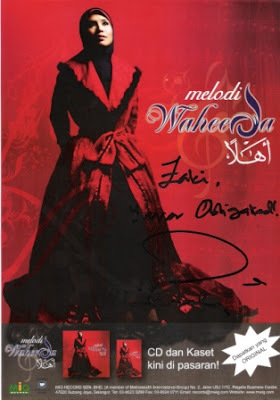 During the Open Day of IIUM Kuantan, Waheeda was there for a concert. She was amazing in almost everything! 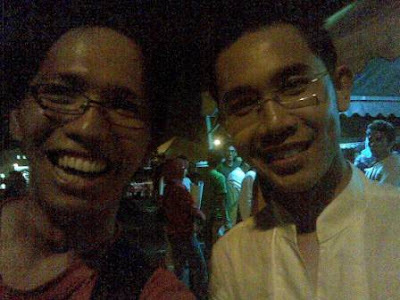 Hafiz Hamidun (ex-UNICian) was there also. 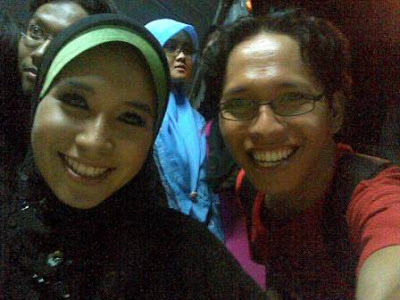 Being a typical Zaki, I was on-stage to get free album from him after few conversations live in front of audience. Hehe... Selamat duit aku.. Now I'm thinking of giving comments on his album but later la... Got more urgent things to do. 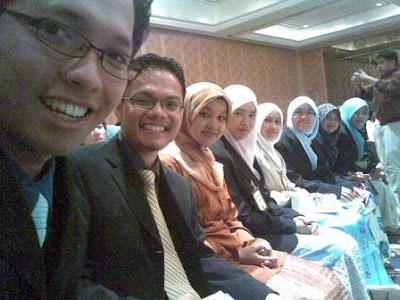 Representing UIA in Internship Challenge. This is where we were accommodated. Location; Jalan Cheras. 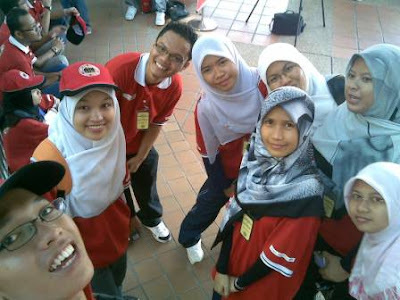 These are my teammates during the challenge and Kak Haiza, our lecturer who accompanied us in the challenge. No one believes Kak Haiza is actually a lecturer. Ok, let's guess. Which one is Kak Haiza? AND WE WON THE COMPETITION! We won RM3000, trophies and certificates plus a 3-day 2-night package in Awana Hotel. They invited Tok Pa as the launcher for their programme but i couldn't believe function like this still have those small cliche problems which to me were NOT suppose to happen. Fortunately Tok Pa was not able to be present that day. 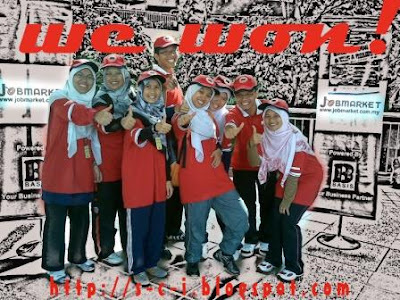 BAB JUMPA WAHEEDA, BAB AS WINNER IN D COMPETITION & BAB SHAKEY PIZA!!!! hemmm..did u try domino piza?? my advisor said..domino piza is betr.compare wt other brand. aha..i think k.liza in the right side..is it true?? roti domino keras la kak! celah mane nye best? tak best ar kalau rotinye keras cam biskut. isy! kak haiza paling kanan? salah! cuba lagi.. WARGH!!! Apsal ko suruh aku tgk page ko ni!??!?! ARGHHH ARGHHH ARGHHH!!! MAKAN ATI TAK BERULAM LANGSUNG TAU AKU ARGHHH!! Makan ati nyer makan ati nyer!! Bab ko menang apa tu, sila syukur nikmat Tuhan segala bagai haha..
err...kal.mcm tu k.liza kau sebelah kiri..tui takkk? haaa. baru betol.. itu la kak haiza (bukan kak liza la kak).. ade rupa cam lecturer tak? n suma my exclassmate blaka!! I used to eat Shakeys as a child, they had some music and you could watch old movies and the pizza was pretty ok, if I can remember, but this was near Chicago USA 30 years ago and it's closed; it had crisp bread, I don't think Dominos makes crisp bread but maybe they do now. No No NOW I see that there is a Pizzeria Uno and this is some of the best on earth and if you want classic Chicago pizza, please try this; as long as they make it the same as they do in CHicago, you can't go wrong.